When more than 66 million millennials took the workplace by storm a few years back, employers weren’t quite sure what to make of this new generation of workers. Born between 1980 and 1996, millennials are currently the largest generation in the American workforce. As they began coming of age, this mob of tech-savvy and socially-conscious workers arrived on the work scene armed with a set of expectations for their professional lives that recruiters and hiring managers have never quite seen before. The response to their presence in the workforce hasn’t always been positive. Millennials have been labeled spoiled, bratty, and in need of constant stroking. Fair or not, the reputation of millennials has left recruiters confused about how to handle this demographic. And, more than 15 years after the first Millennials hit the job market, some hiring managers are still left shaking their collective heads at times, wondering what works – and what doesn’t – when it comes to interviewing Millennials and hiring the best of the best of this group of workers. While experts generally agree that this generation’s values, attitudes, and priorities differ greatly from those of their predecessors, many organizations have attempted to use the same old interviewing techniques when bringing Millennials in for interviews. But there are approaches to interviewing Millennials that can both help you ensure they are a good fit for you and that your company and the role is a good fit for them. Don’t be left guessing how to appeal to the best of the best of this generation. Study these techniques for interviewing Millennials to get the most relevant information from this group of workers. You know that interviewing Millennials is different than interviewing members of Gen X or Baby Boomers. But why? The short answer: Millennials arrived on the scene with a brand-new set of requirements for their employers and new ideas about how work should be completed. In order to know how to interview a Millennial, you have to know what’s important to them. Here are four things your hiring team should be emphasizing (or consider offering) to attract top-notch Millennial talent. A study by Capital Group found that 82 percent of Millennials say that they are more apt to take a job at a company that is focused on corporate responsibility. This means companies that not only offer opportunities to give back to the larger good – through charitable gift matching or community outreach programs, for example – but those that offer investment opportunities (via 401k and other funds) that contribute to the well-being of people and the planet. If your company has a corporate responsibility program, consider adding information about these programs into interview discussions. Millennials have reached the stage of life where they now have families of their own and flexibility to raise children, care for ailing parents, or take care of other needs has become important to them. If your company has unlimited PTO, extended maternity or paternity leave, or other benefits that will assist workers in managing all of life’s responsibilities, be sure to discuss them during the job interview. These can be a huge selling point. Research shows that unlike Baby Boomers and Gen X, for whom cash was king, Millennials place more importance on opportunities for growth at work. While this can mean outlining a clear path for promotion and advancement, Millennials place greater importance on professional development and other tools for advancement than past generations. To many Millennials, the idea that work has to be done at work is archaic. Whereas Baby Boomers and Gen X expected to be required to report to work, Millennials are a highly tech-savvy generation. They’ve grown up with the technological know-how to make remote work and collaboration a no-brainer, which means that anywhere that has a high-speed internet connection could be a makeshift office. If your company offers work-from-home opportunities, these are important to mention when interviewing millennials. 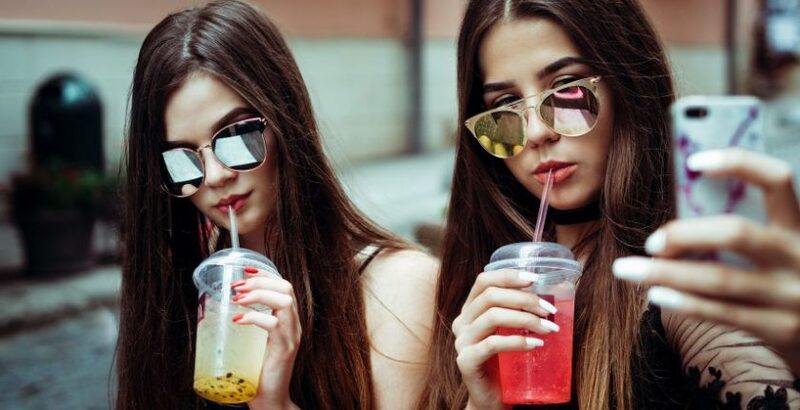 Much has been written about the poor reputation of millennials in the workplace but there certainly isn’t unanimous agreement. Besides, judging a candidate based solely on when they were born is both unfair and illegal. The trick to getting to the heart of whether a millennial candidate is a good fit for your open role is to ask the right questions. Now that you know what’s important to Millennials in the workplace, you’ll need to formulate questions that will tell you more about the candidates personal values. Skills-based questions will likely be the same for all candidates but the questions below can help you determine cultural fit. Ask them interview questions that go beyond the normal “Tell me about your strengths and weaknesses” questions that generate the same boring responses. How do you like to work—alone, or in a small group? What role do you hope to have in five years? Is there a charity that you volunteer for or support? What about this organization appeals to you? Have you ever used our products or services? How often? What was your experience like? What do you like most about living in [town or city]? If you were going to suggest to a visiting friend three “must-see” attractions or experiences, which would you choose and why? Tell me in your own words what problem you believe this position will solve for the company? What appeals to you about working for [company name]? What kind of relationship do you want to have with your co-workers? What are the most important things to you when choosing a work culture? Personalizing your recruiting techniques for Millennials now can’t come fast enough. Having an interview technique that can be adapted from candidate to candidate is a skill recruiters should work hard to hone . . . especially as Gen Z begins hitting the workforce.